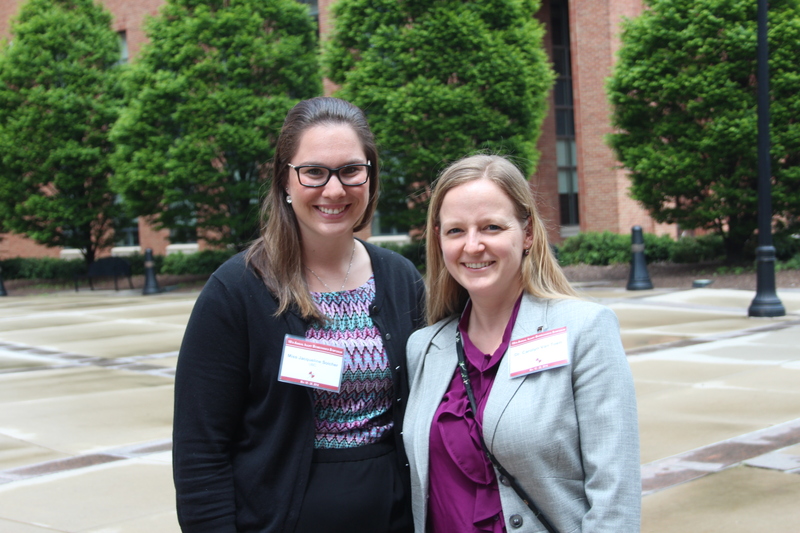 One former and one current ICORD trainee have recently been awarded prestigious awards from the Ohio Injury Biomechanics Symposium and the Northwest Biomechanics Symposium for their work on spinal cord injury biomechanics! Carolyn van Toen was awarded the Hines Award for best oral presentation at this year’s Ohio Injury Biomechanics Symposium. This symposium is a prestigious international conference and one of the few worldwide that focuses on injury biomechanics. 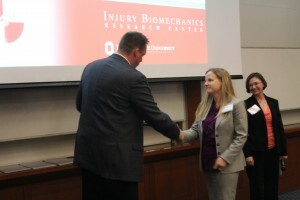 Her work and presentation was focused on experiments and analysis of cervical spine injury under axial loading combined with lateral bending moments, and she was up against very competitive candidates from the likes of University of Virginia, Virginia Tech, Duke University, The Ohio State University, The Children’s Hospital of Philadelphia, and the University of Pennsylvania, among others. Carolyn was co-supervised by ICORD PIs Drs. Tom Oxland and Peter Cripton. She defended her PhD last November and will be graduating later this month. 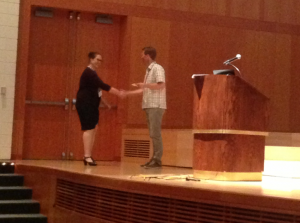 Jackie Soicher, a M.A.Sc student of Dr. Peter Cripton‘s lab, was recently awarded the top Master’s presentation prize at the 2014 Northwest Biomechanics Symposium at Willamette University in Salem, Oregon. Her presentation was on the experimental evaluation of spinal cord swelling after spinal cord injury. Up against presenters from several excellent schools (including the University of Washington and the University of Oregon), Jackie did a fantastic job representing ICORD, UBC Biomedical Engineering, and the Cripton Lab at this conference! Congratulations to Carolyn and Jackie for their well-deserved accomplishments!